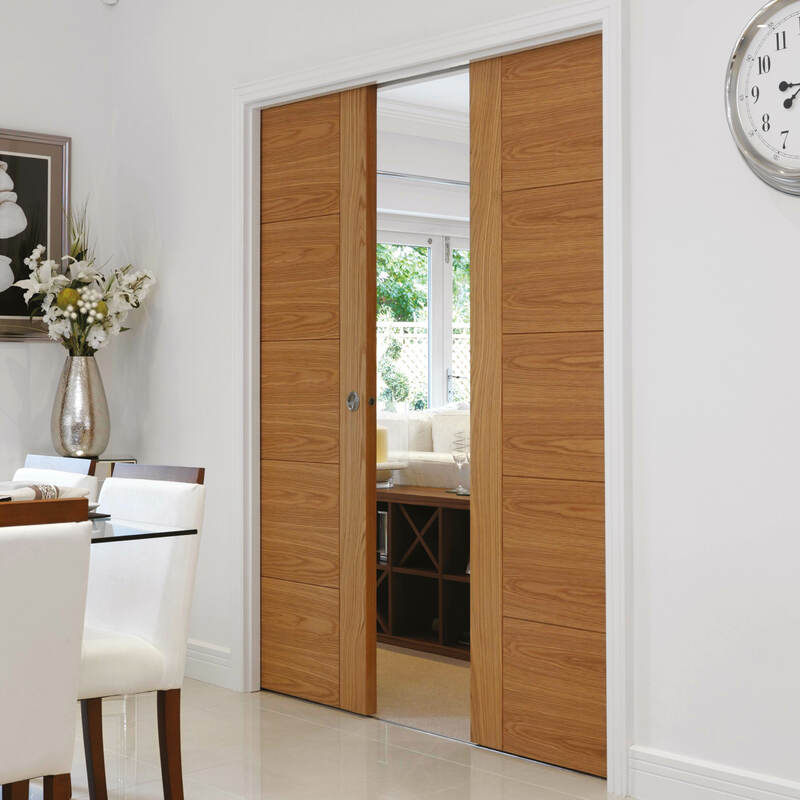 Explore our extensive range of doors from leading manufacturers at low trade prices. Looking for a variety of different doors to suit the character and style of your property? Look no further, our range of high quality and competitively priced internal and external doors will leave you spoilt for choice, no matter how much of a perfectionist you are. 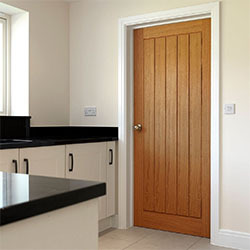 Thousands of doors are available throughout the UK with our nationwide delivery services. 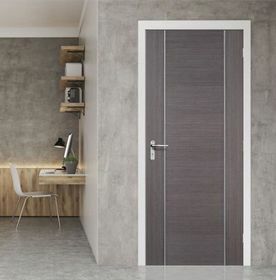 With a plethora of different door collections, there will certainly be a door for you, with a variety of styles, designs, colours and finishes, it is sure to bring anybody's property style and character. A large proportion of our doors also come with options such as double glazing and fire safety designs, ensuring you do not have to compromise safety for style as well as making your house more energy efficient. When choosing a door for your particular property, there are a wide range of factors that need to be taken into consideration. 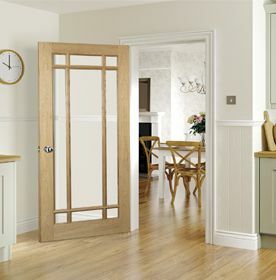 The design and style of your home will determine which internal and/or external doors will be best suited to your home. 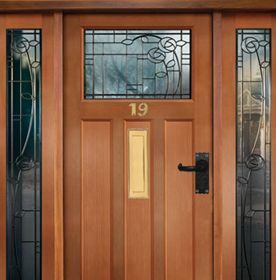 Our door collection has designs which will compliment: period, cottage, modern and contemporary homes. It is vital you acquire the right styled door for you, as it can really add an air of professionalism and sophistication to your property, and give a certain look and feel to your home. 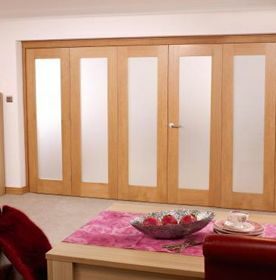 Our door selection includes doors across the price range from budget doors to beautiful, high quality, bespoke doors. 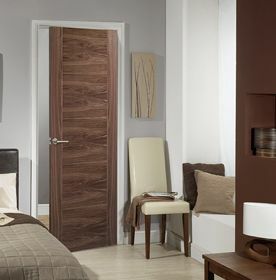 We have thousands of doors available for Nationwide UK delivery. Our fantastic selection of doors available means we can offer a wide range of choice to help you choose the best doors for your home. Our doors collections offer a fantastic choice of styles, colours and finishes in a range of prices to suit all budgets, designed to enhance your home. Many of our ranges include options such as glazed or fire safety designs which all match the door collection, so compromise on the safety or style of your door. If you are looking to finish a door yourself, and really personalize it to your taste, we have a vast range of doors that are unfinished that can be waxed, varnished and painted. 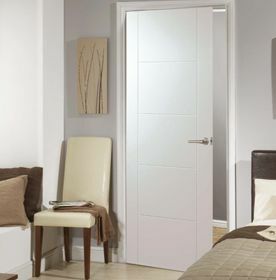 We have a variety of perfectly finished doors, ready to fit there and then, saving you time and labour. Modern veneers are an excellent way of recreating woods such as oak and walnut so they have that solid door look, without the strain on your wallet or purse. Like Solid doors, they are strong and sturdy, able to last the test of time, as well as a variety of doors coming with outrageous warranties. Another popular option is our range of GRP doors, which are made from the high quality and durable fibre glass and composite. These materials will indefinitely provide you with a security due to it being heavy duty and sturdy. However, GRP does not compromise style, manufactured in a very specific way to give the fibres an authentic wood like texture, fooling the most highly trained eye and still providing you with the classic wooden look. 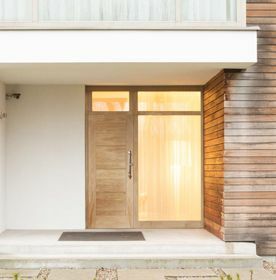 There are many beautifully designed modern and contemporary doors, at varying price range, so no matter what your budget, there will be the perfect door for your property. Although often overlooked, a well fitted and suitably designed door can really add to a properties look, adding value and style to your home. Your door choice will need to take into account the design of your home and the style you are looking to create. 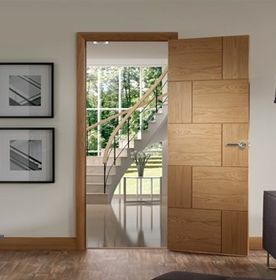 Our door collections include doors to suit period, cottage, modern and contemporary homes. Innovative door design can really add to the look and feel of your home and make a real impact. 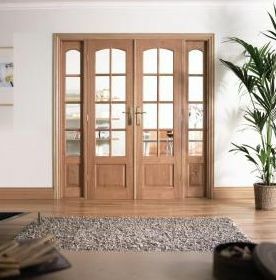 So if you're in the market for new doors, be sure that we will have something to suit any project that you have in mind. These doors are manufactured in a way that incorporates the wood grain texture so the doors look like wood. 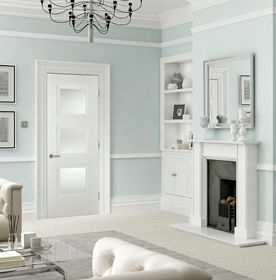 There are some really beautiful classic and contemporary doors to choose from with a range of price points so you can select a door to suit your budget. A striking new door can really make a statement and put that finishing touch to your home. 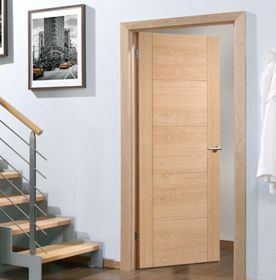 When fitting your door, you can plane off a certain amount, but always refer to the manufacturers’ doors guidelines, as you don’t want to make wrong modifications, jeopardizing the quality and suitability of the door. If the door is not solid wood, there will only be a certain amount of outside timber, leaving less room for modifications. Our internal and external doors don’t come with pre drilled holes as each door needs to be aligned with the frame. The inside doors usually have two or three hinges. These will need to be aligned and the door must be marked before chiseling out the door hinge mortise. Once this is cut, you can align the door to the hinge and screw it in place. We recommend that you follow the instructions and guidelines outlined by the furniture instructions. If you need to reduce the size of your door, to fit your doorway, you can plane off a certain amount but will need to refer to the manufacturers' door guidelines. 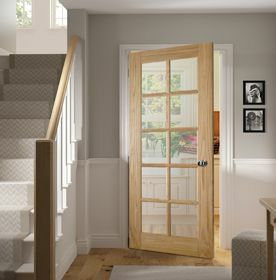 If your door is not solid wood it will only have a certain amount of timber around the outside trim. You will need to choose your hinges to fit the weight of your door and to match your door furniture. 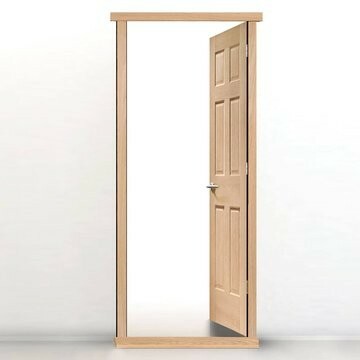 Doors don't come with pre-drilled holes as you need to be able to align them with your frame, inside doors tend to have two hinges and main doors three. You need to align your door to your hinges and mark the door before you chisel out the door hinge mortise. Once the door mortise is cut you can then align the door to the hinge and screw it into place. To fit door furniture we recommend following the furniture instructions, especially if you are fitting security to your door. 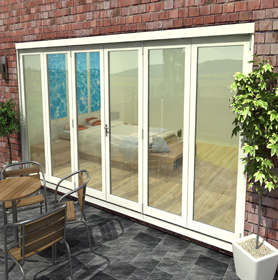 Our doors come with manufacturers warranties and available for UK Nationwide Delivery.